PSE&G and Jersey Central Power & Light (JCP&L) urge its customers to always be cautious if they see downed lines. 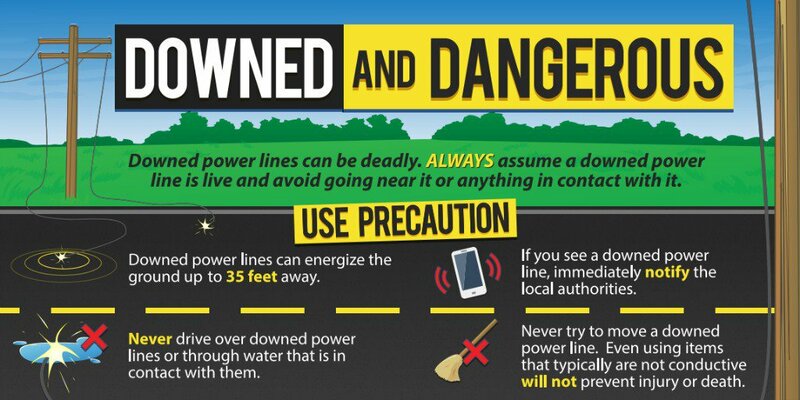 Downed wires should always be considered “live.” Do not approach or drive over a downed line and do not touch anything that it might be in contact with. Customers should report downed wires or power outages immediately to Robbinsville Police and/or the utility companies. Compile a list of emergency phone numbers, including PSE&G’s Customer Service line: 1-800-436-PSEG. Call this number to report power outages or downed wires.